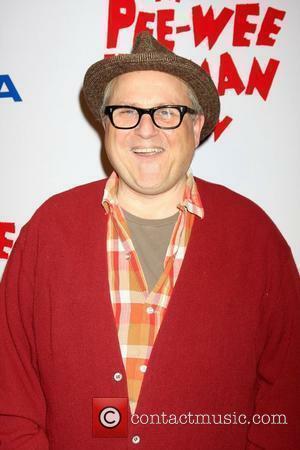 Police Academy star Bobcat Goldthwait has married his love of directing with his passion for Big Foot by making a new movie about a search for Sasquatch. The funnyman-turned-filmmaker shot Willow Creek in the remote Six Rivers National Forest in Northern California, where Roger Patterson and Robert Gimlin shot footage of what appeared to be Big Foot in 1967, and he admits he has become a big part of the community surrounding the myth. But he confesses the chance he might stumble across the real thing while making Willow Creek turned him into an obsessive. He says, "I shot the movie where the Patterson and Gimlin footage was originally shot, that footage where Big Foot's walking through and looks back. It's 17 miles down a dirt road; it takes two and a half hours to get there. There's no cell phones, there's no planes going over. "You're in the middle of nowhere and when we were filming, we actually did see two mountain lions.... I'm out there and the idea of getting mauled to death wasn't lost on me - 'Bobcat killed by bobcat'... I was kind of insane when I made this movie... I was really obsessed." Goldthwait admits he takes his love of Big Foot seriously, adding, "People bust my chops on this because I'm an atheist who believes in Big Foot, but I've met people who have heard and seen Big Foot... I'm accepted in the community; I've gone out looking for Big Foot with these guys on a number of occasions. "I've been to Big Foot conventions and it's fascinating because most people in the Big Foot community believe Big Foot has a flat head, not a pointy head... This guy had a cardboard cut-out of a pointy headed Big Foot and the other guy comes over to him and he goes, 'You disgust me, look at his head!' And he goes, 'Really? I've seen Big Foot three times and you're never gonna see him 'cause you smoke!'" Goldthwait's Willow Creek, in which actors Alexie Gilmore and Bryce Johnson play Big Foot hunters interacting with town locals, is currently available as a video on demand. It will be released as a Blu-Ray/Dvd later this year (14). Police Academy Originals Back For Eighth Film?